The Finance Ministry is not in favour of phasing out 1c and 2c coins in the foreseeable future and will not be rushing, according to a spokesman. The Times of Malta reported earlier this month retailers were in favour of phasing out the cumbersome 1c and 2c coins, arguing the move should have a “negligible” impact on inflation. 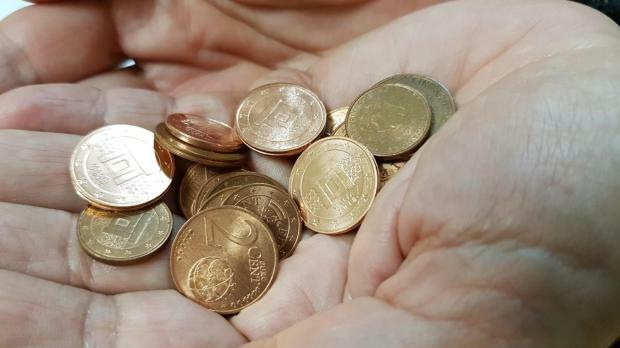 Around 70 per cent of the 8,500 readers who responded to a Times of Malta poll run online and on Facebook were in favour of phasing out the coins, a measure that has already been taken by five eurozone countries: Finland (2002), the Netherlands (2004), Belgium (2014), Ireland (2015) and Italy (2018). The idea had met the approval of the Chamber of Small Enterprises ‒ GRTU and the Malta Bankers’ Association. “Many customers do not even want to receive the small coins as change,” the GRTU’s chief executive, Abigail Mamo, said. The Malta Bankers’ Association noted that handling coins was a costly process, involving carriage, counting, packing, security and insurance, noting that phasing them out would benefit members, although it expressed doubts on whether the long-term savings would be significant. Phasing out the coins could be done in various ways. A spokesman for the European Central Bank said it would not have a noticeable impact on inflation, provided that the rounding was done to the final bill at the till for payments in cash and to the nearest 5c. Card transactions would still be made according to the actual bill.